After over 35 years’ experience in leading private and public sector organisations, Mike Smith was awarded an OBE in the 2013 New Year Honours list for services to Economic Development and Urban Regeneration in Belfast. As one of Northern Ireland’s most senior business leaders, Mike brings a range of skills and expertise to the Lighthouse Communications team. He has held a number of senior positions throughout his career including CEO and Managing Director of Titanic Quarter Ltd, and chairman of Cinemagic. 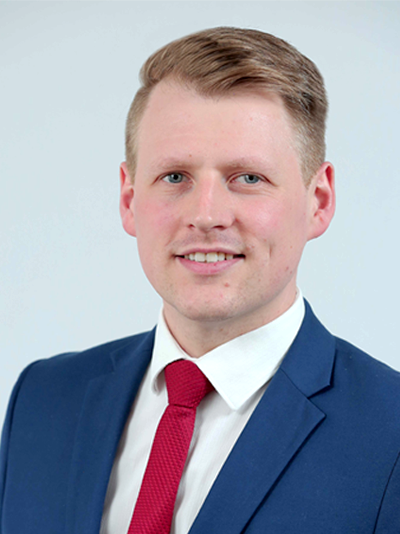 As a Chartered Surveyor and Chartered Town Planner (FRICS, FRTPI), Mike continues to act as an advisor to Belfast City Council and is an experienced conference presenter on subjects including urban planning, regeneration, economics and leadership. He is a graduate of both Trinity College Dublin and Queen’s University Belfast. Since establishing Lighthouse Communications in 2009, Stephen has built an enviable base of international and locally-based clients whilst developing a growing team of award-winning public relations and marketing consultants. With more than 15 years’ experience directing communications activity for a variety of blue chip, SME and public sector clients, Stephen devises and implements communication and marketing strategies, with vast experience in crisis management. Prior to entering the public relations sector, he spent eight years working at the BBC in Belfast and Radio 5Live in London across the fields of news and sport. Stephen holds a Diploma in Company Direction from the Institute of Directors; a Diploma in Public Relations, Marketing and Advertising from Queen's University Belfast and a Certificate in Marketing from the Chartered Institute of Marketing. He is a member of the Chartered Institute of Public Relations and PRCA. Having joined the Lighthouse team in 2010, Alyson leads the team to devise and deliver creative, intelligent PR and digital communications strategies that achieve objectives set by the client and exceed their expectations. With considerable experience in crisis management, corporate and B2C marketing communications, across sectors including travel and tourism, hospitality and leisure, motor retail and manufacturing, Alyson is trusted by her clients to protect their reputation and communicate key messages to target audiences. Alyson holds a Digital Marketing Diploma from the Chartered Institute of Marketing and a BA (Hons) Degree in Public Relations and Media, Culture and Communications from University of Lincoln. An active member of the Institute of Directors (IoD), Alyson sits on the Women’s Leadership Conference Steering Committee and is currently undertaking the IoD Chartered Director Programme. She is also a member of the Chartered Institute of Public Relations and is a Non-Executive Director at Bryson Recycling. A former journalist, Simon joined Lighthouse in 2017 after 10 years in the media industry. Simon’s well-honed writing skills and enviable knowledge of the economic landscape allow him to quickly and effectively identify the needs of Lighthouse clients. Before joining Lighthouse, he spent four years as business correspondent at the Irish News in Belfast, gaining a reputation for accurate and fair reporting across all sectors in Northern Ireland. Simon, a former deputy editor of the Tyrone Courier in Dungannon, has worked in all areas of print journalism as a respected news and sports reporter. Simon is a graduate of Queen’s University Belfast where he attained a BA (Hons) degree in English and Politics. Simon also received a newspaper journalism qualification from Belfast Metropolitan College. An expert in all things digital, Carly’s talents lie within social media management, digital strategy, web copy development, online reputation management, blogger outreach, social advertising and analytics evaluation. Working closely with the Lighthouse team, Carly ensures all digital activity complements the client’s offline strategy. Upon completion of a full digital audit, clients trust Carly to carve a digital pathway that will assist with the achievement of their overall corporate objectives. Based on the requirements of the client, Carly facilitates varying degrees of digital communications support starting with basic digital and social media training. With six years’ experience, creative flair and strategic focus, Carly has continuously delivered impactful, multi-channel campaigns across the digital landscape that showcase her innate understanding of digital partnerships and reciprocal marketing. 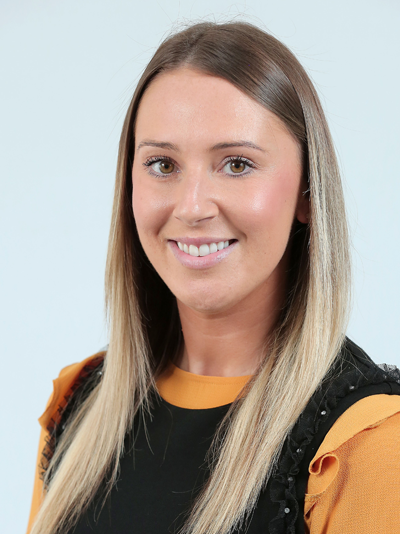 Carly holds a First Class BSc (Hons) degree in Public Relations and Communications from Northumbria University and has previously held Marketing roles at Manchester United and Newcastle Falcons. Joining Lighthouse in 2017, Alastair brings a wealth of experience across all aspects of multimedia production tailored to a wide range of audiences and clients. Alastair's array of skills across corporate video production, print design, digital design and animation allows Lighthouse to service its clients with a robust multimedia offering. Skilled at delivering engaging visual content for both traditional and digital media, Alastair can effectively meet the growing demand for multimedia content from corporate and consumer audiences alike. He has worked as a graphic and web designer within both the Northern Ireland business media and print industries. He also has experience with some of Northern Ireland’s most respected corporates, public sector agencies and not-for-profit organisations as part of both in-house and agency-based public relations teams. Alastair is a graduate of Ulster University where he attained a BSc (Hons) in Social Psychology. He also received an Interactive Media qualification from Belfast Metropolitan College and is an accredited PR practitioner by the Chartered Institute of Public Relations.